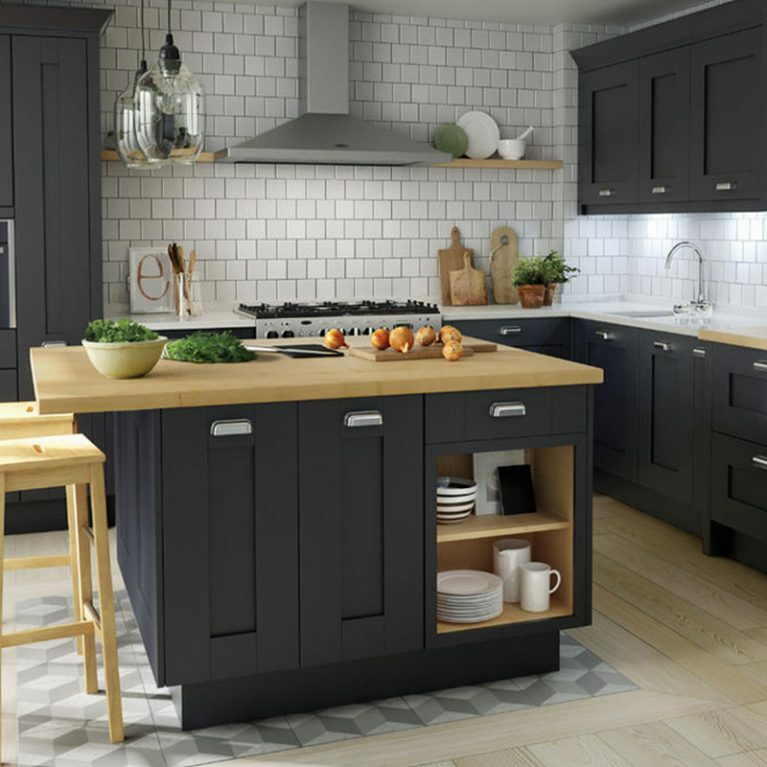 Combining practicality and style in one seamless finish, the Fitzroy Painted kitchen is a classic shaker kitchen with a delightful modern twist. 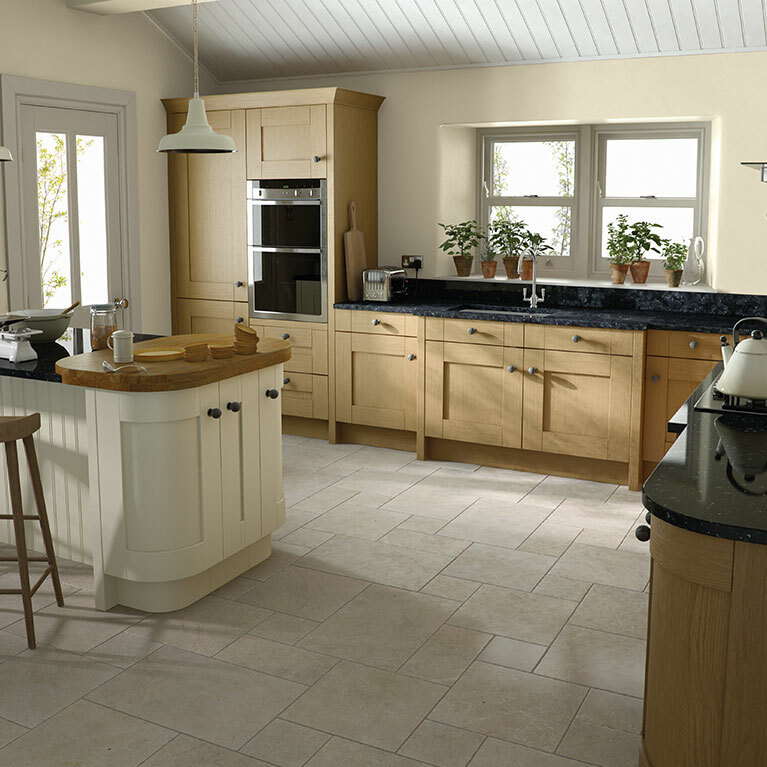 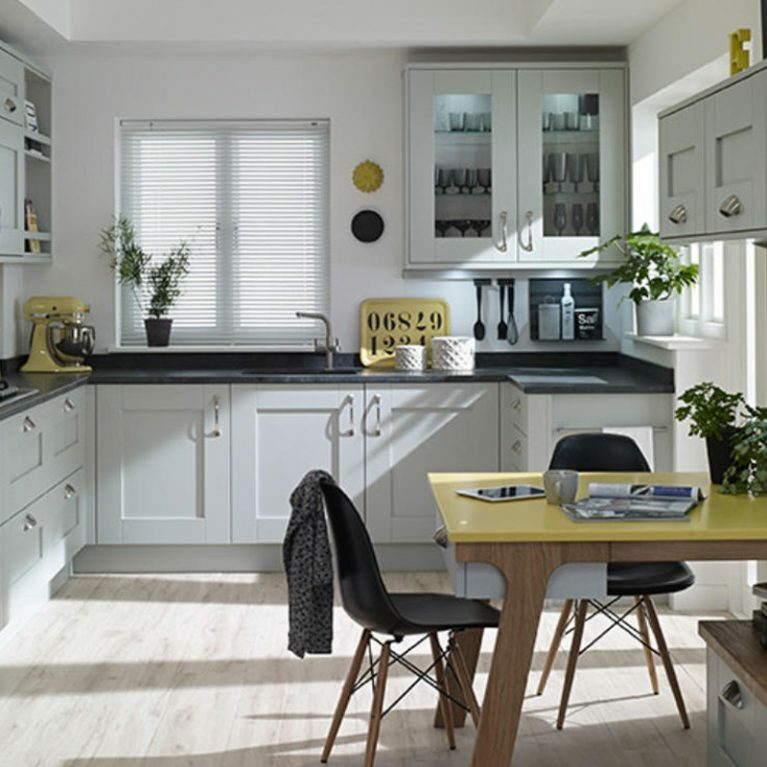 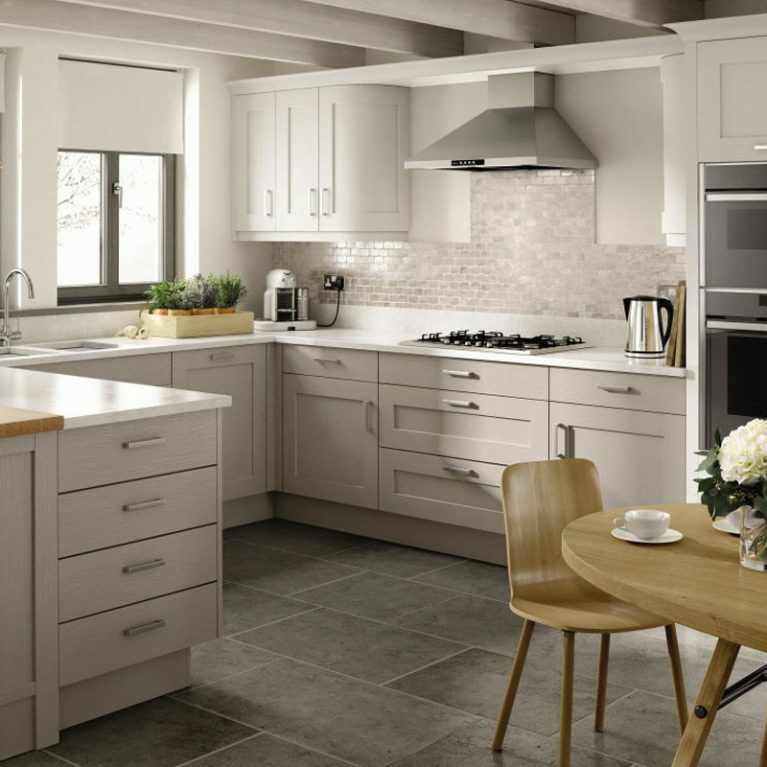 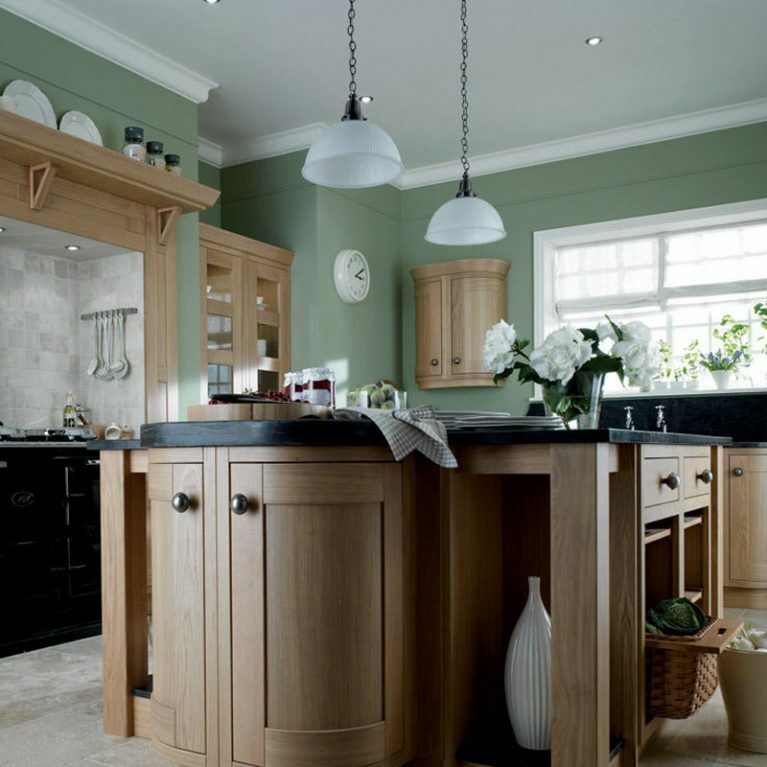 The open-plan classic shaker style Fitzroy Painted kitchen is a perfect choice if you want a spacious kitchen, creating a vast floor space which is simply perfect for those who have families or love to entertain. 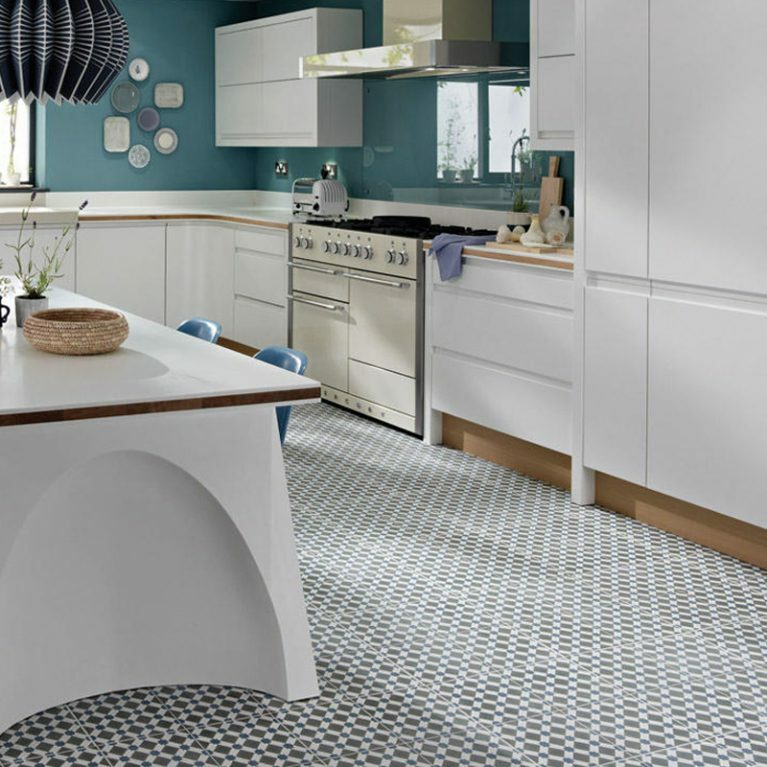 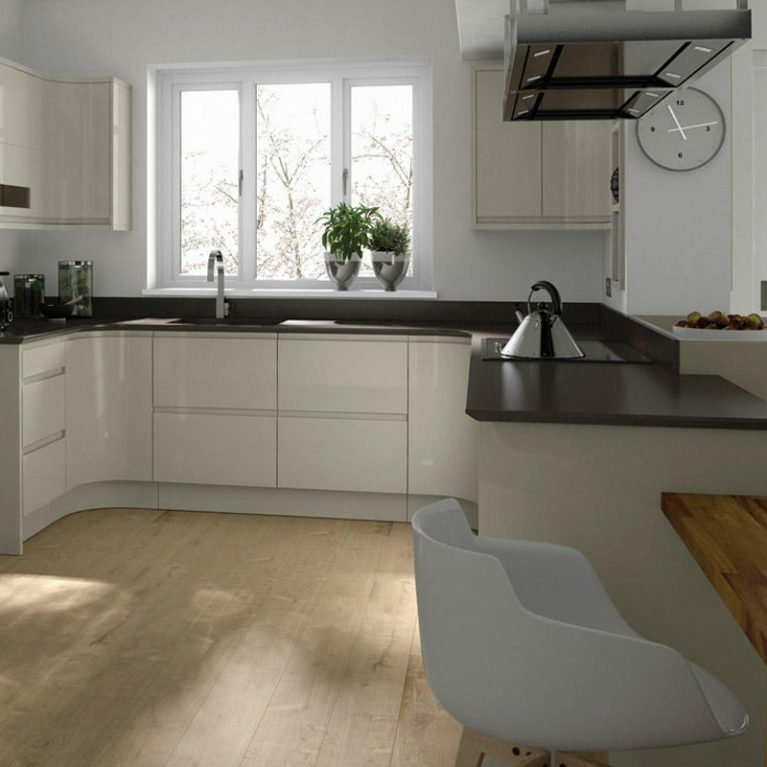 Designed in a cool L-shape with upper and lower cupboards aligning two walls, the Fitzroy Painted offers a huge amount of surface space, in a cool worktop finish. 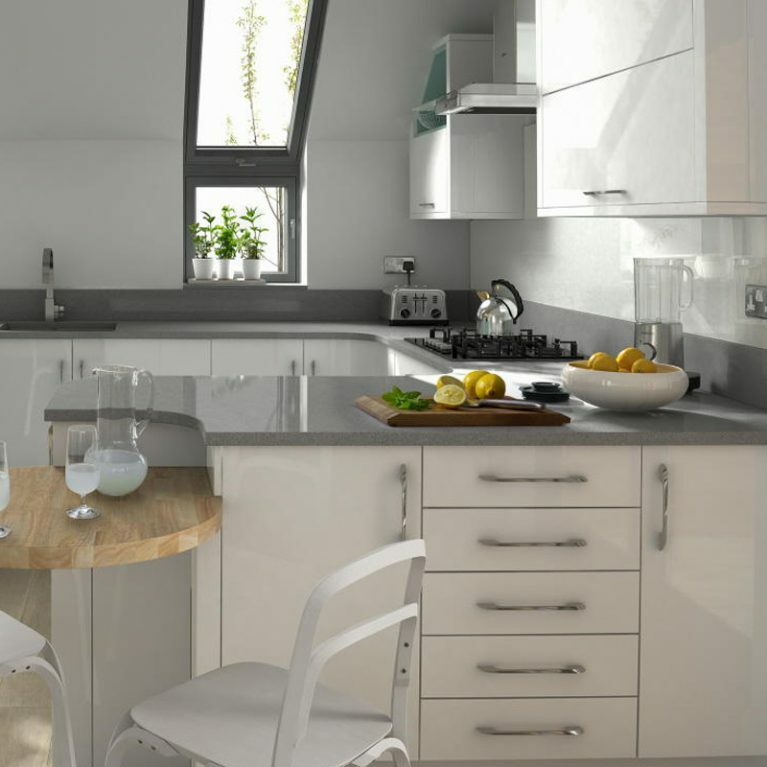 This contemporary worktop space features built in sink section with a wonderful rounded chrome faucet which is a gorgeous finishing touch. 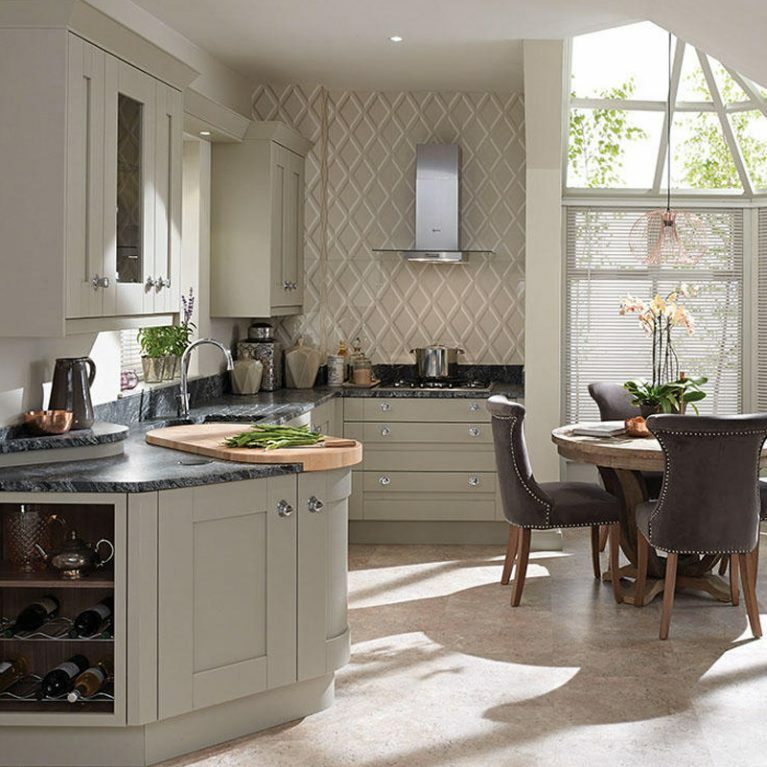 Without a doubt, the star of the show that is the Fitzroy Painted is the gorgeous island which features in the centre of the kitchen. 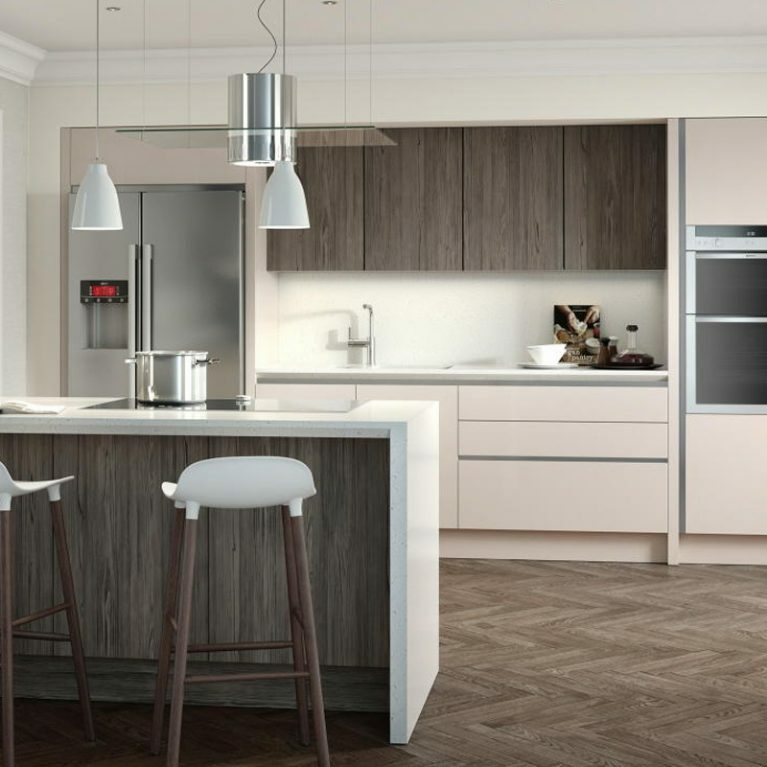 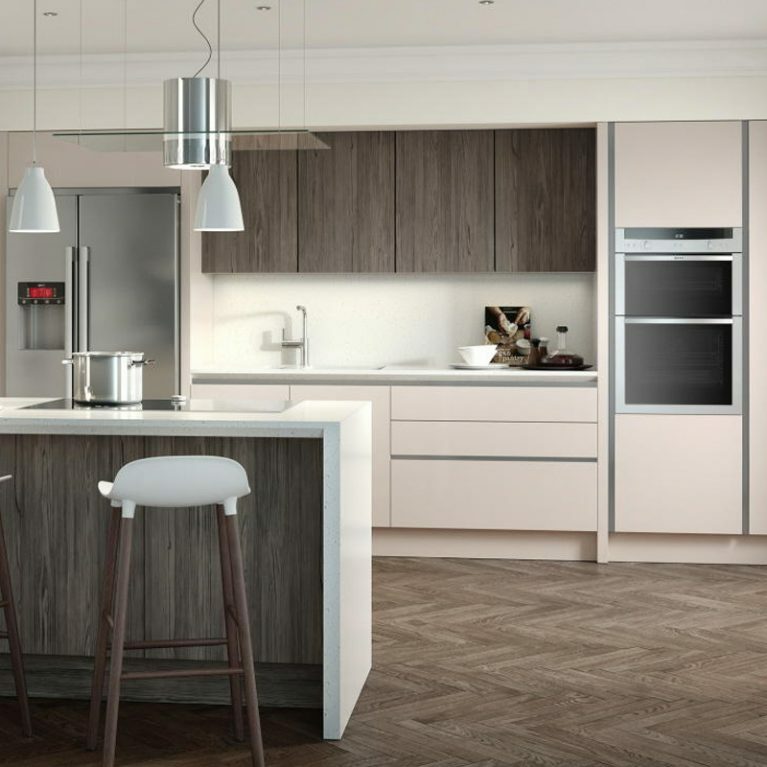 Complete with chunky white quartz and maple worktops, as well as a host of different cupboards and drawers for optimum storage, this peninsula will be a gorgeous focal point within your new kitchen. 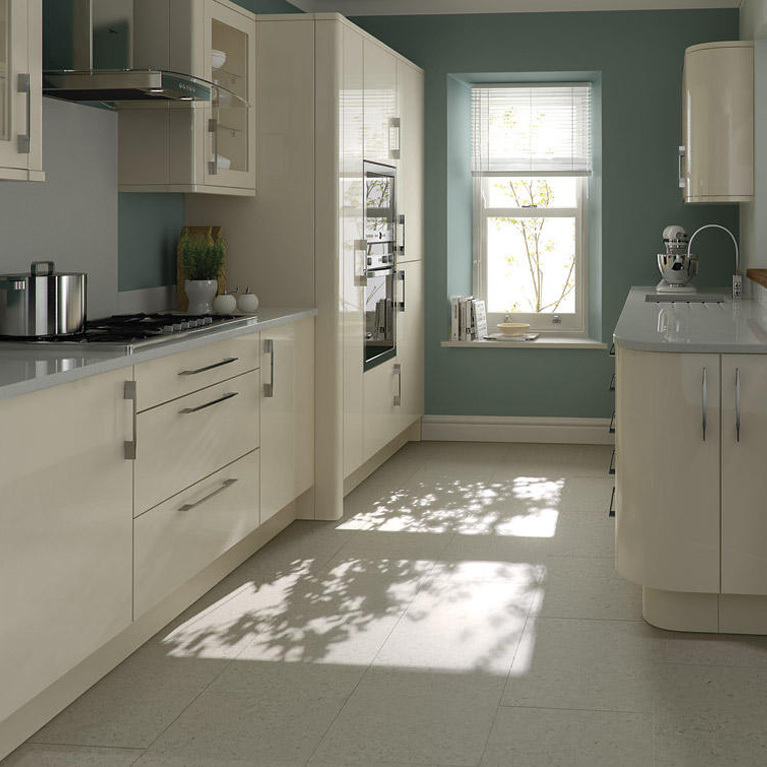 Finishing the kitchen doors off in style, you’ll find smooth, chrome D-shaped handles that are sleek and on-trend. 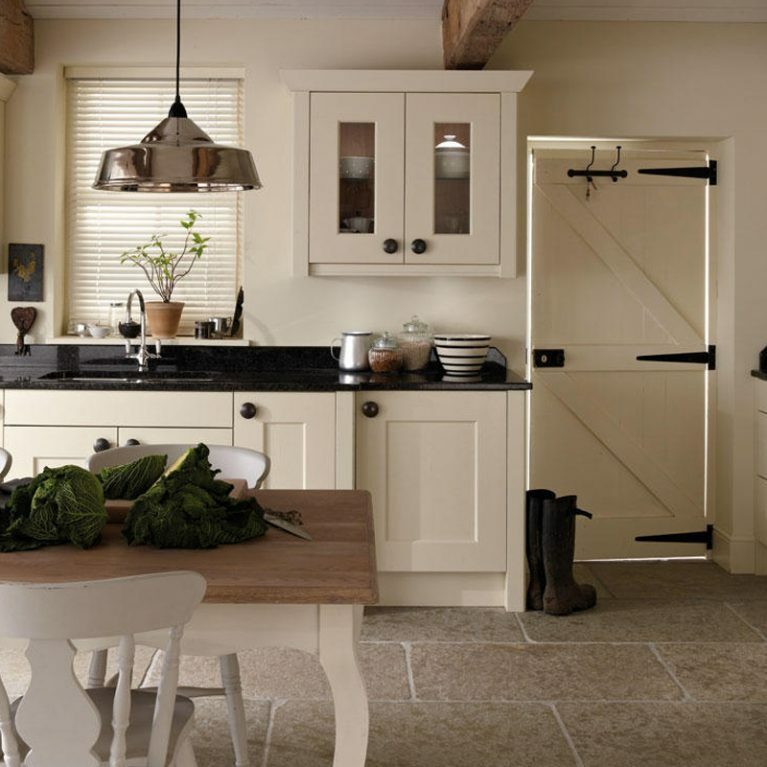 These wonderful handles will look perfect with your Fitzroy painted kitchen, regardless which of the wonderful 27 matte colour finishes you opt for. 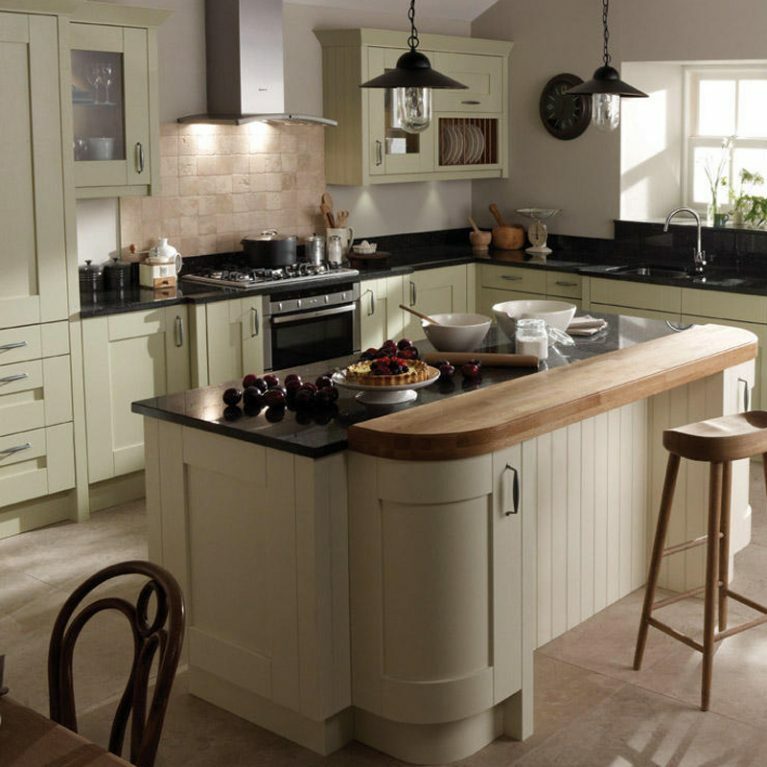 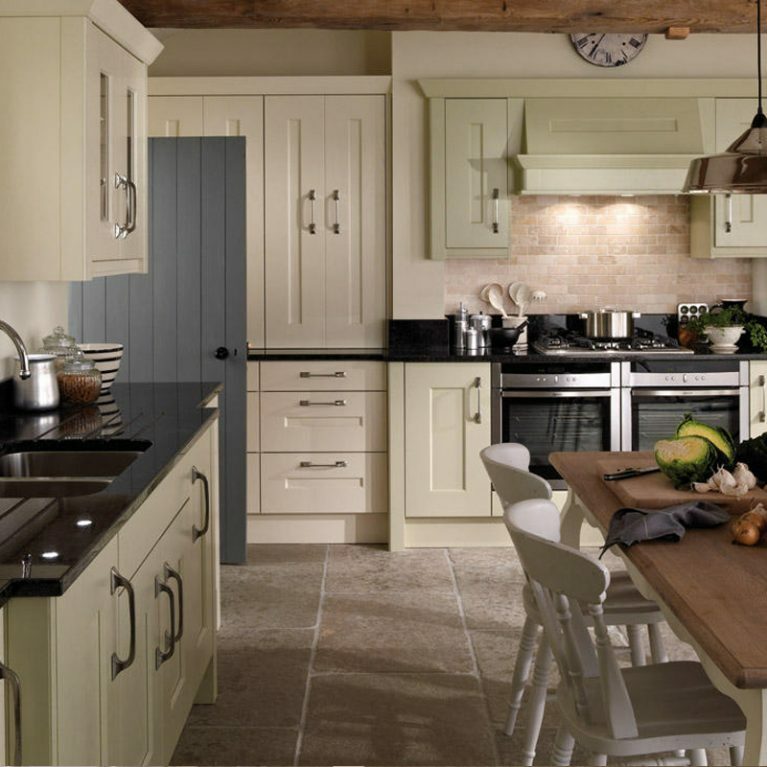 The classic shaker style Fitzroy Painted kitchen is a perfect choice if you want to transform your home and create a space that will be loved by all of the family. 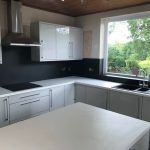 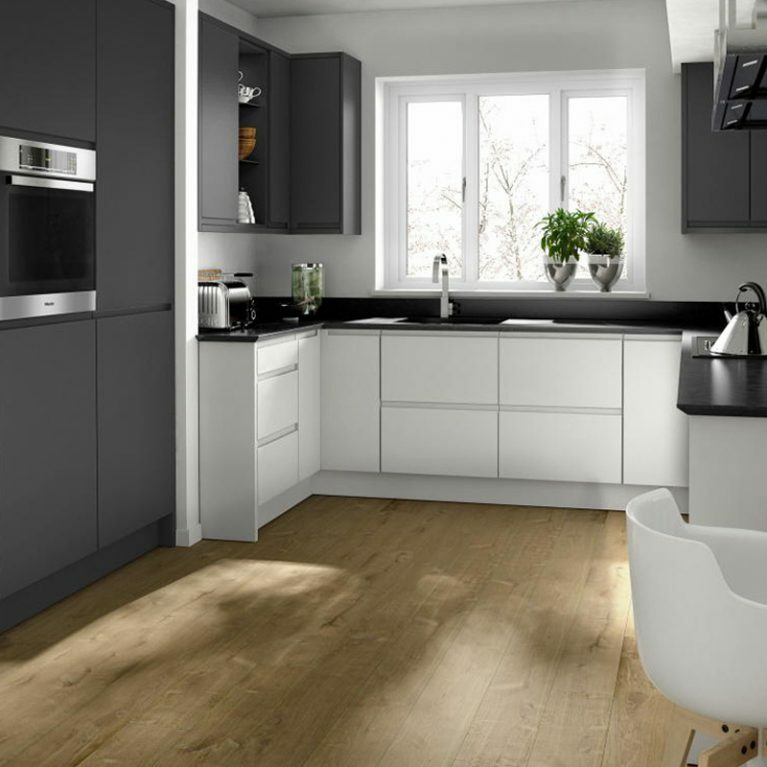 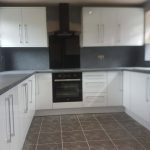 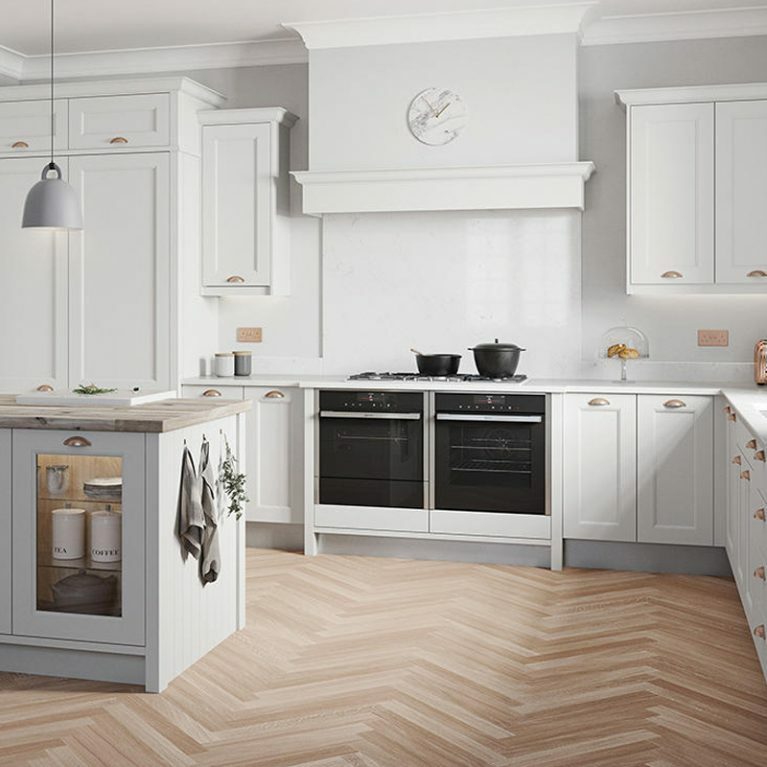 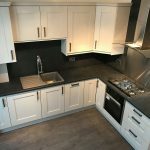 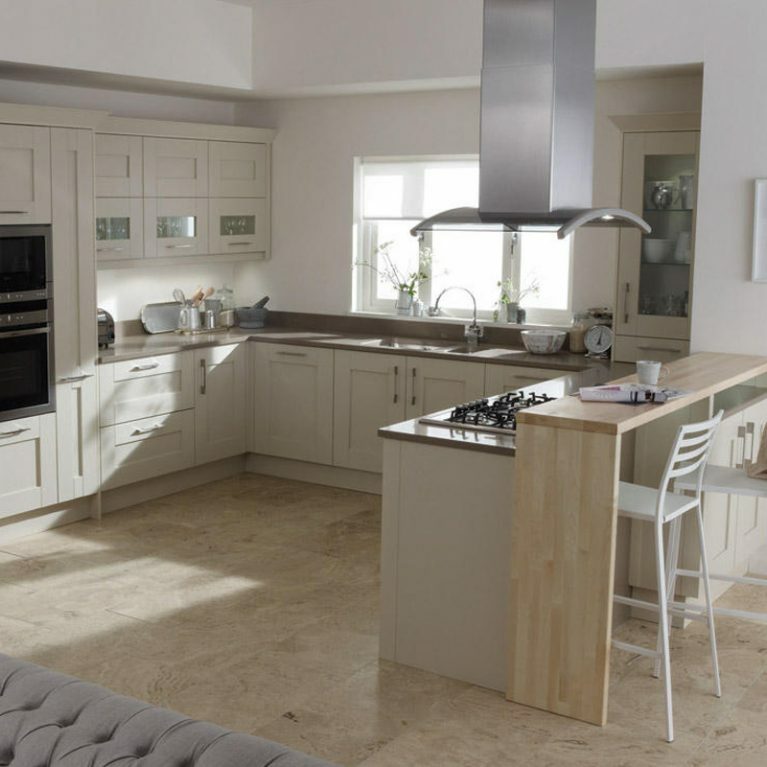 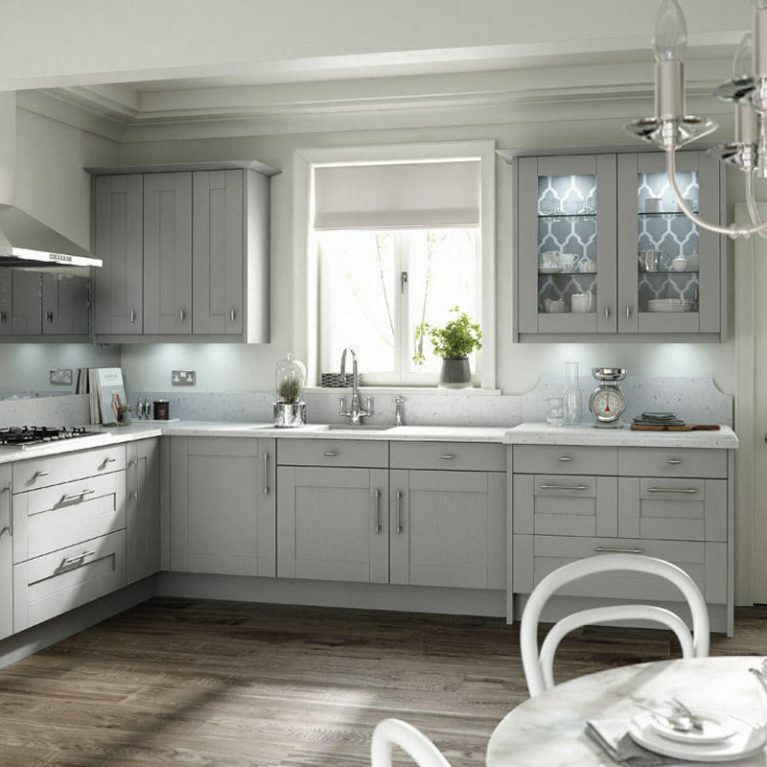 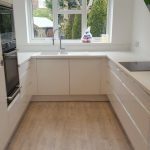 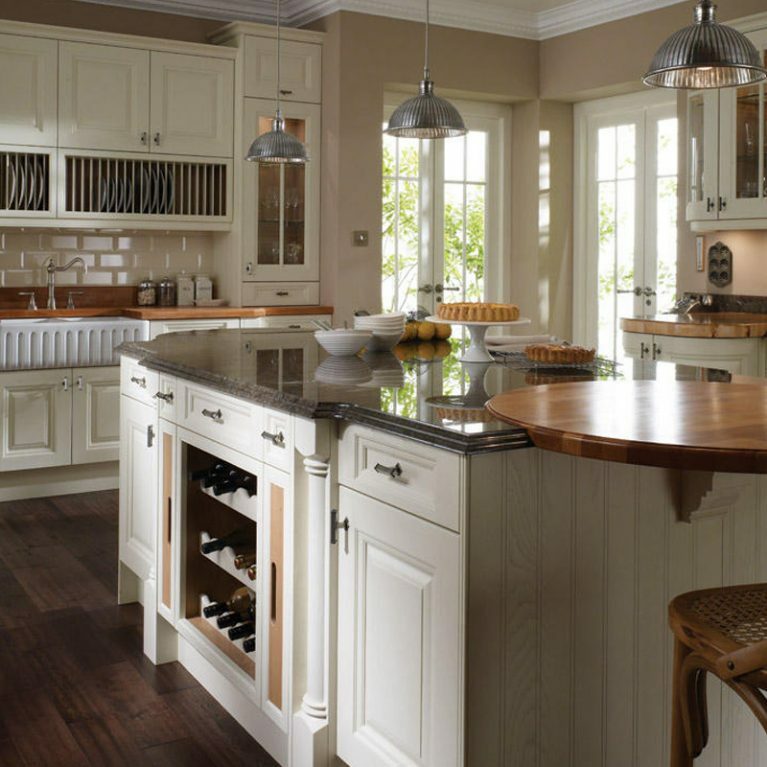 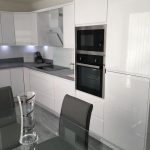 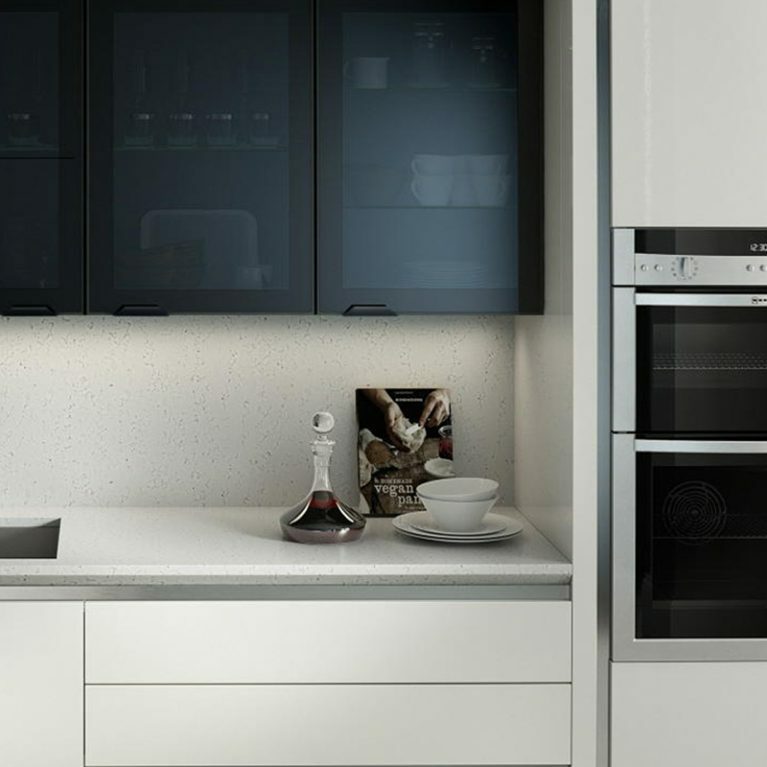 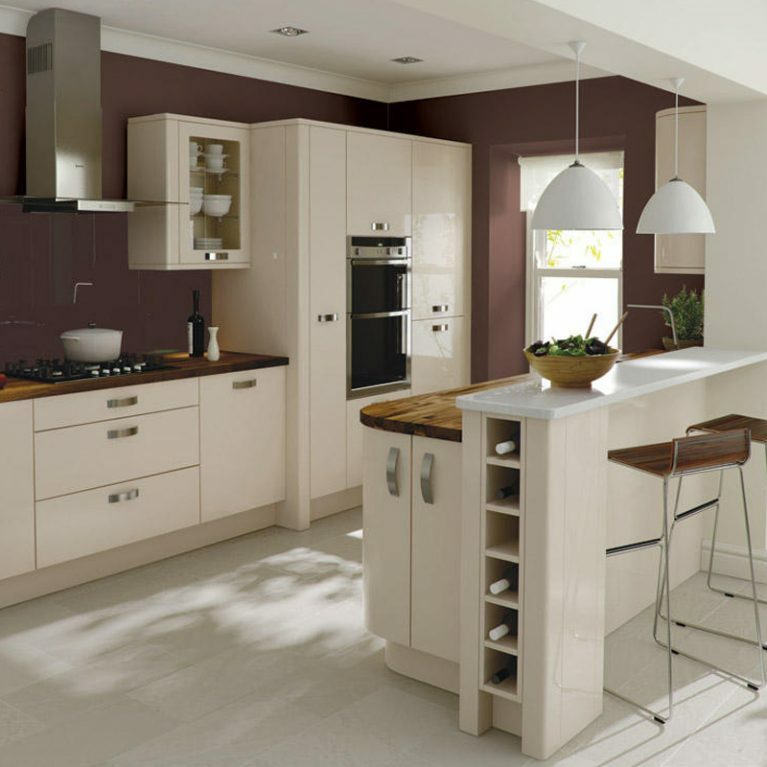 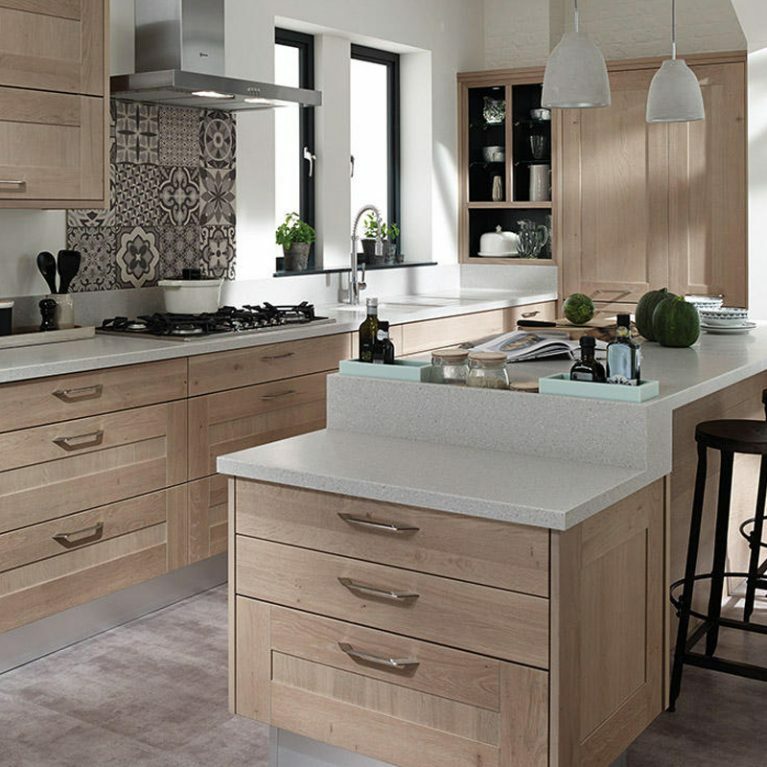 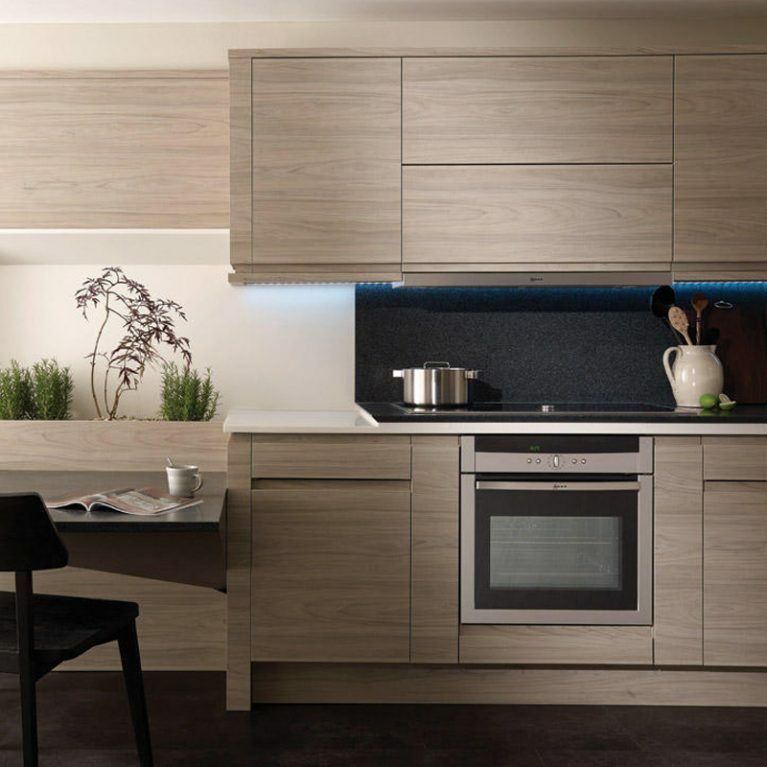 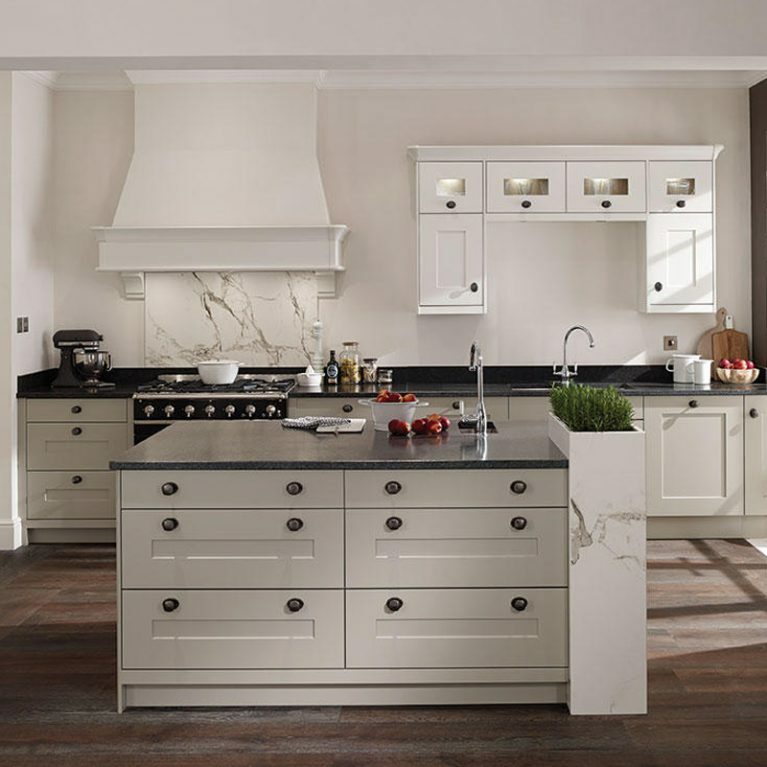 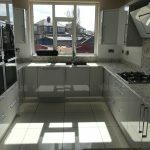 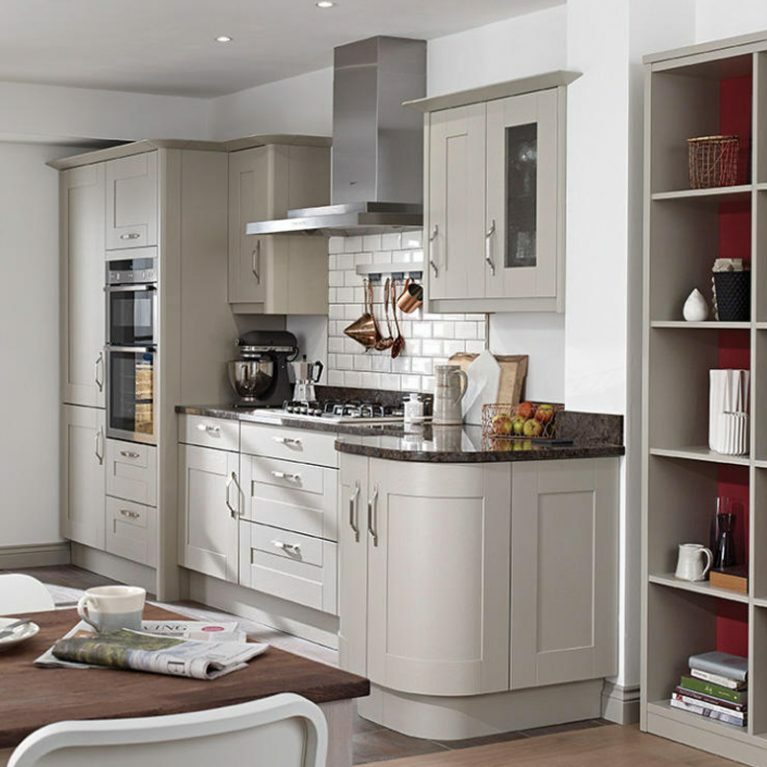 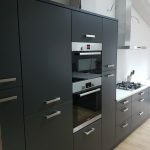 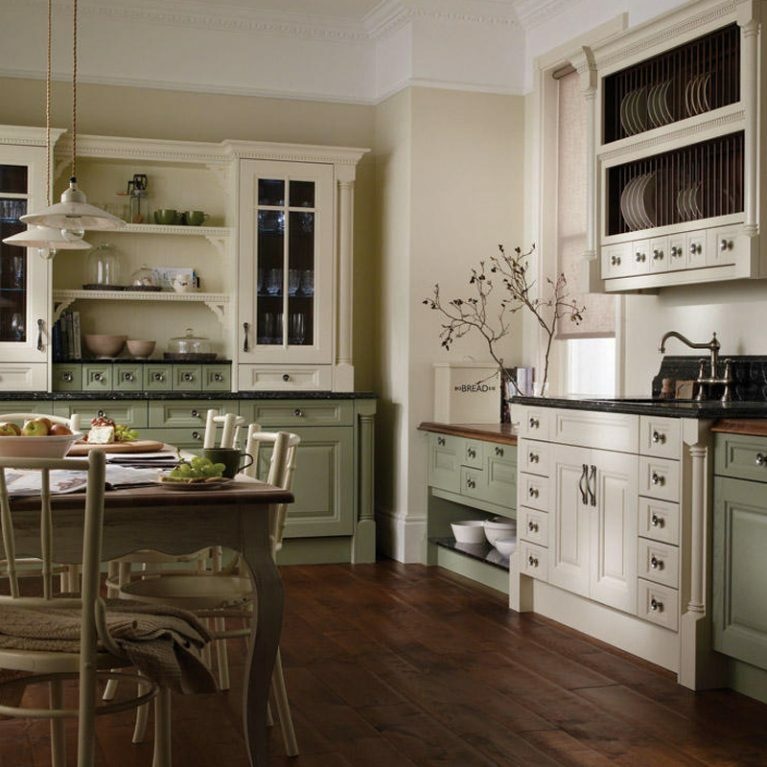 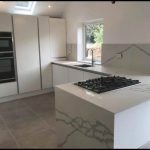 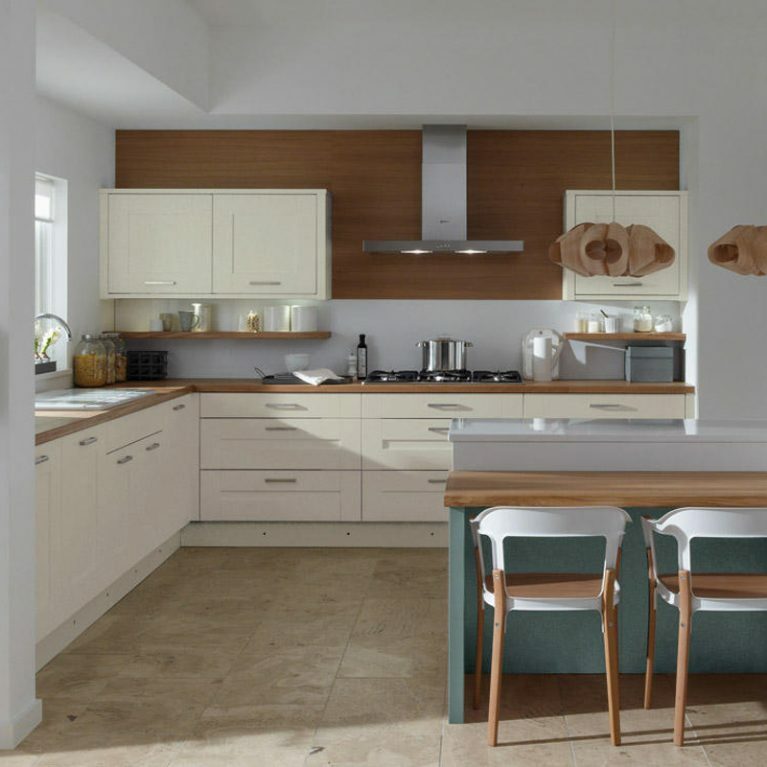 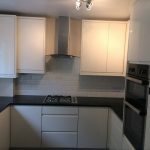 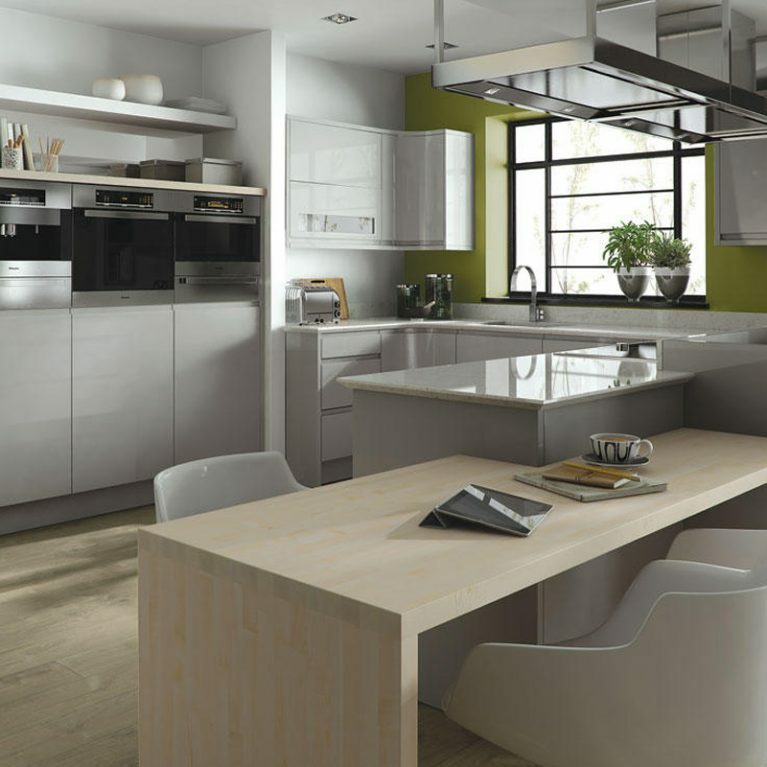 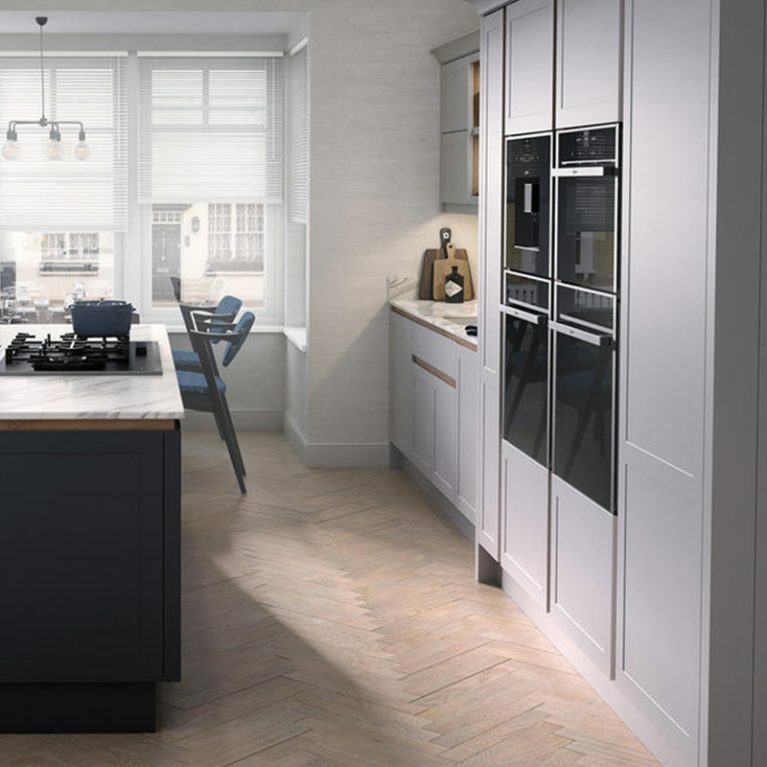 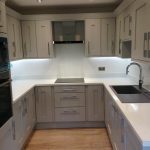 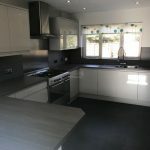 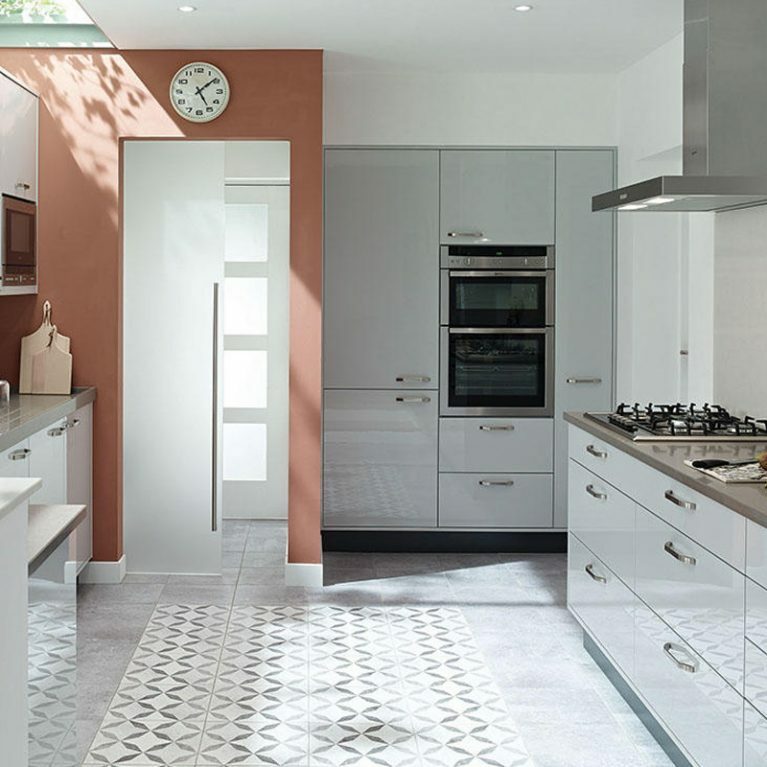 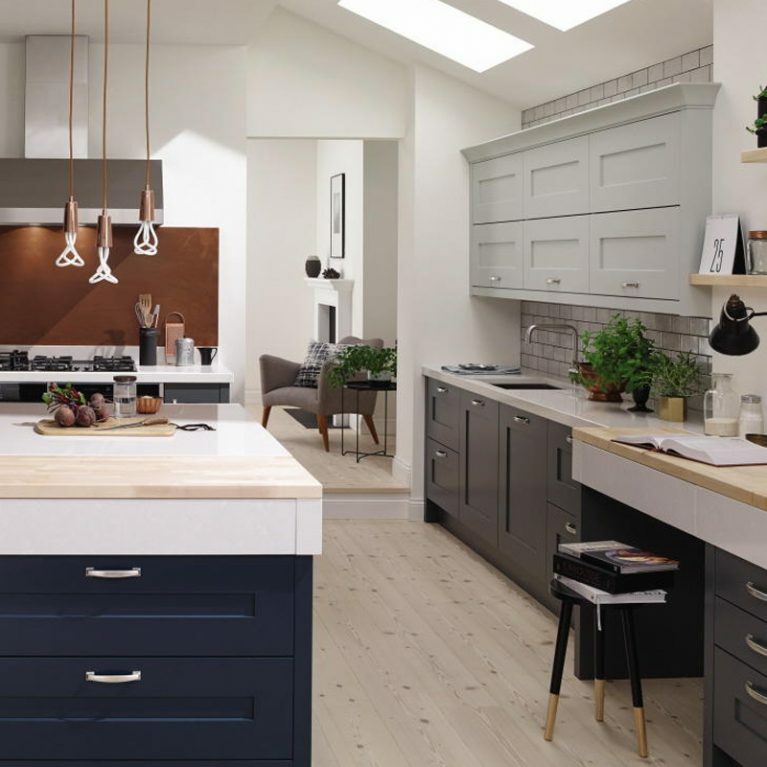 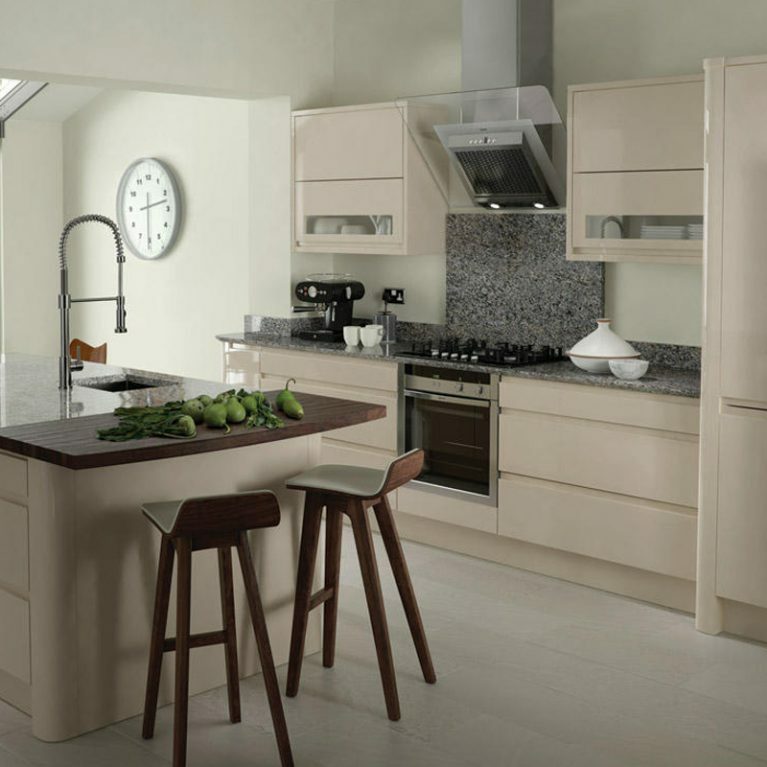 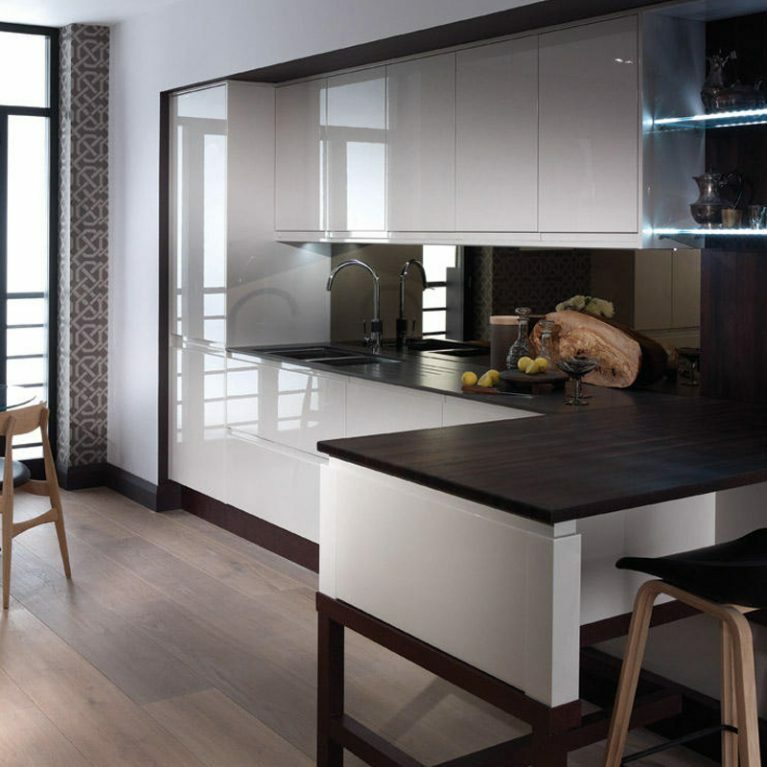 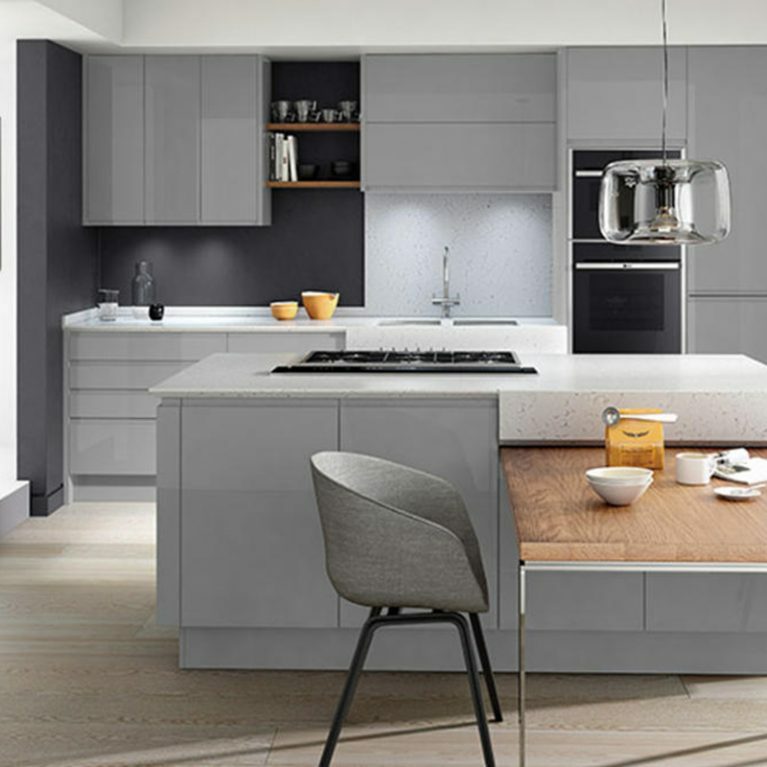 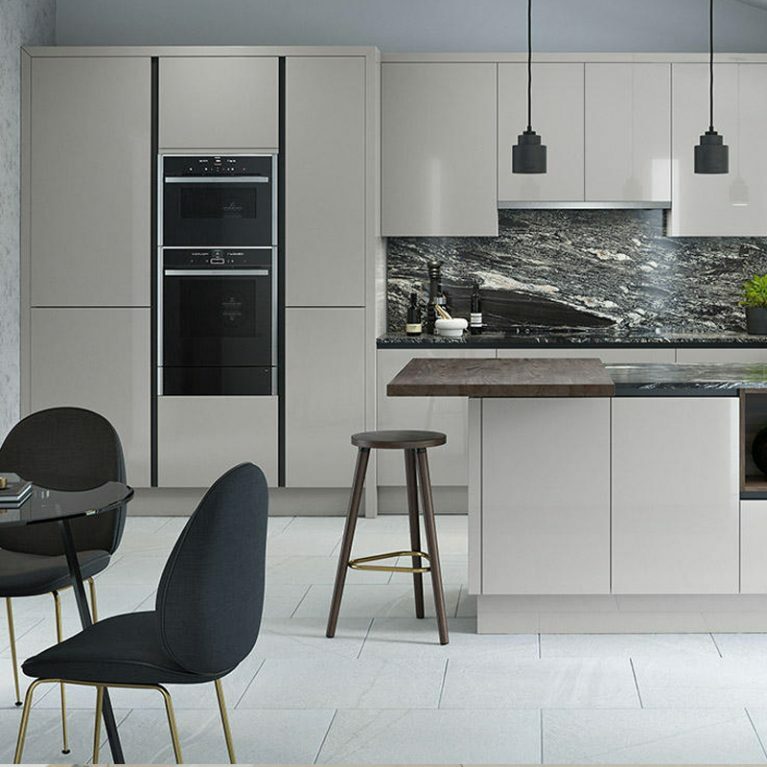 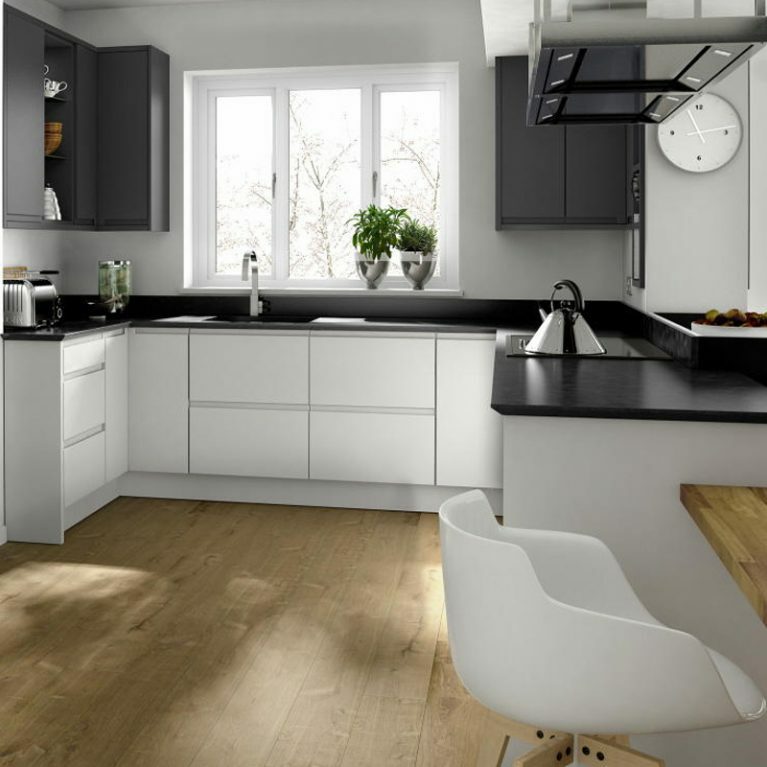 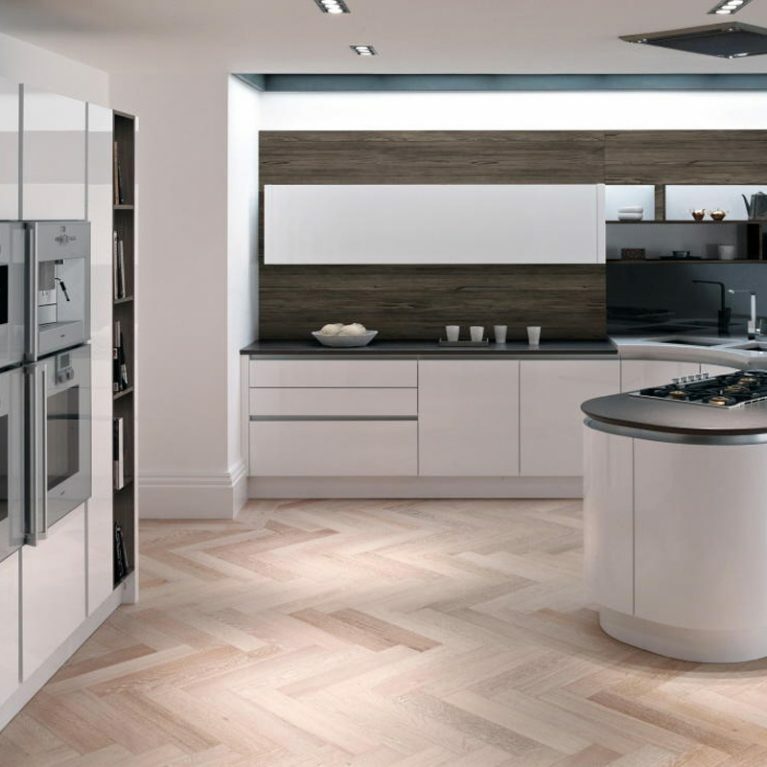 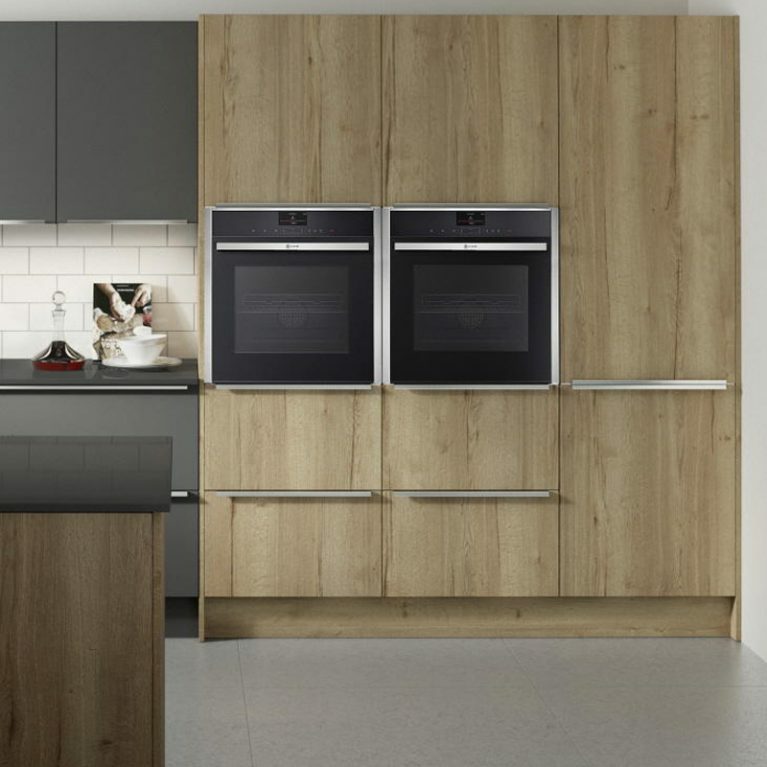 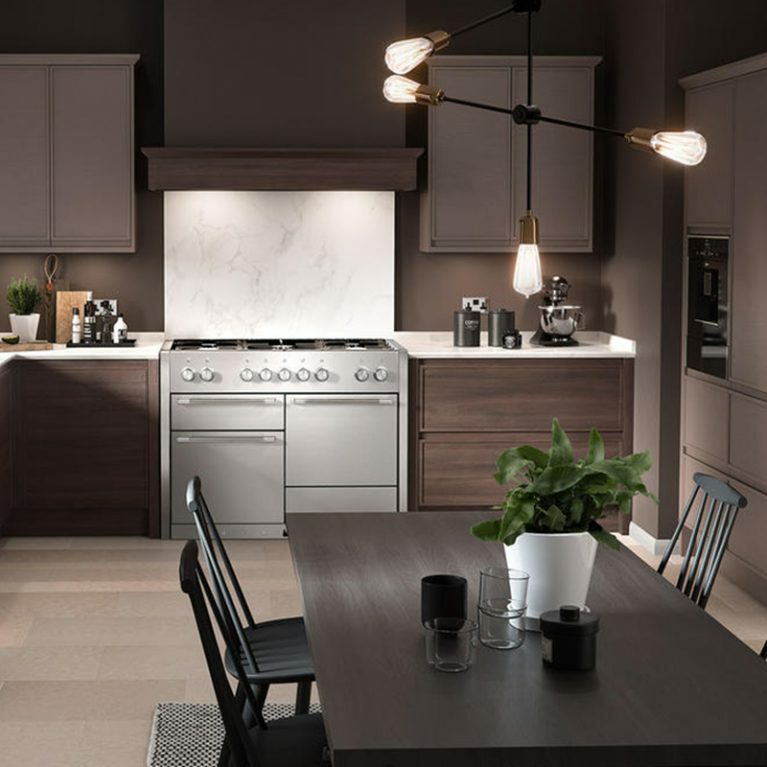 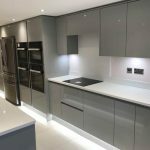 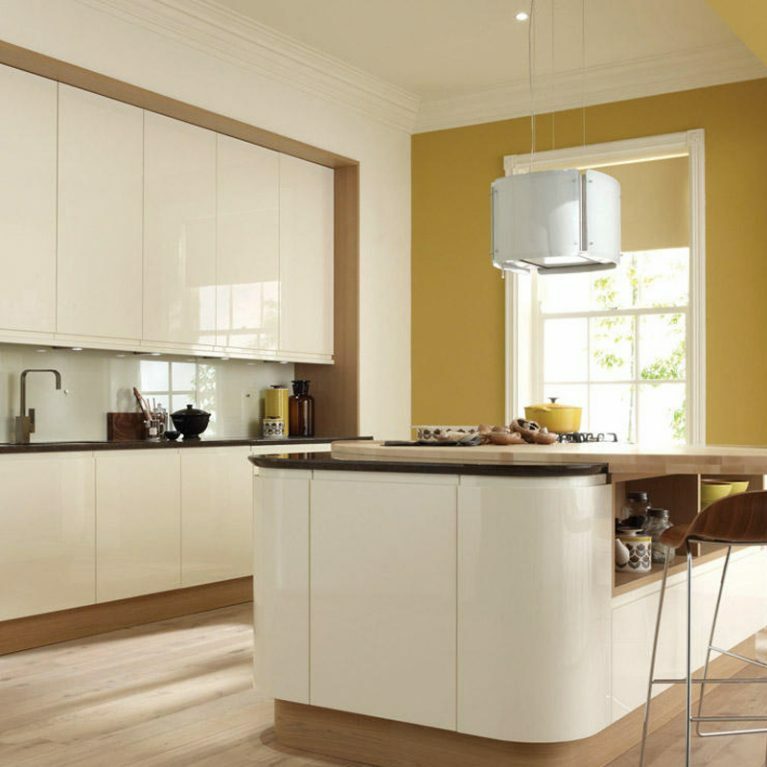 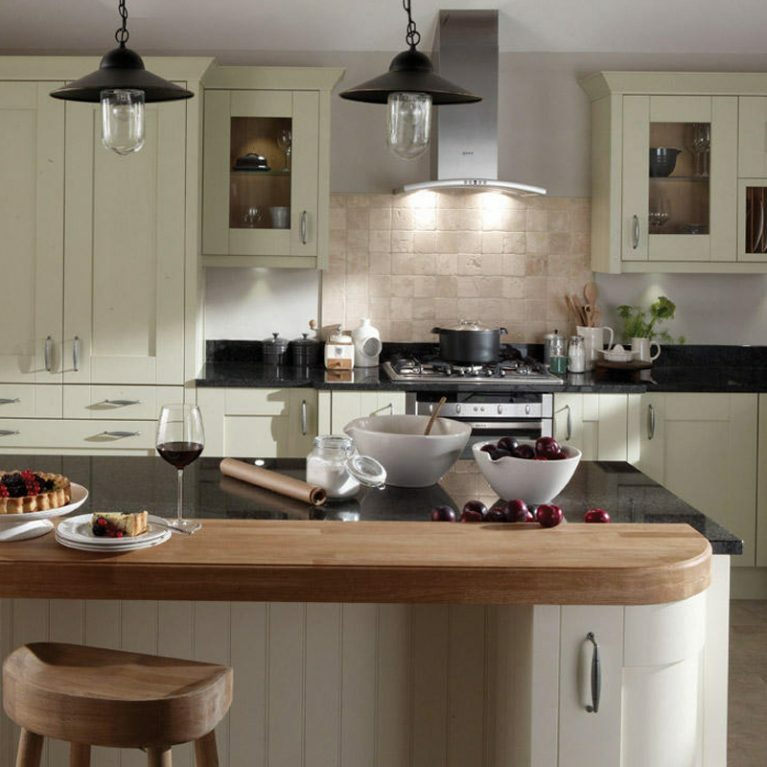 Contact Number One Kitchens Manchester today for a quote and some information on how we can help you design your perfect Fitzroy Painted kitchen. 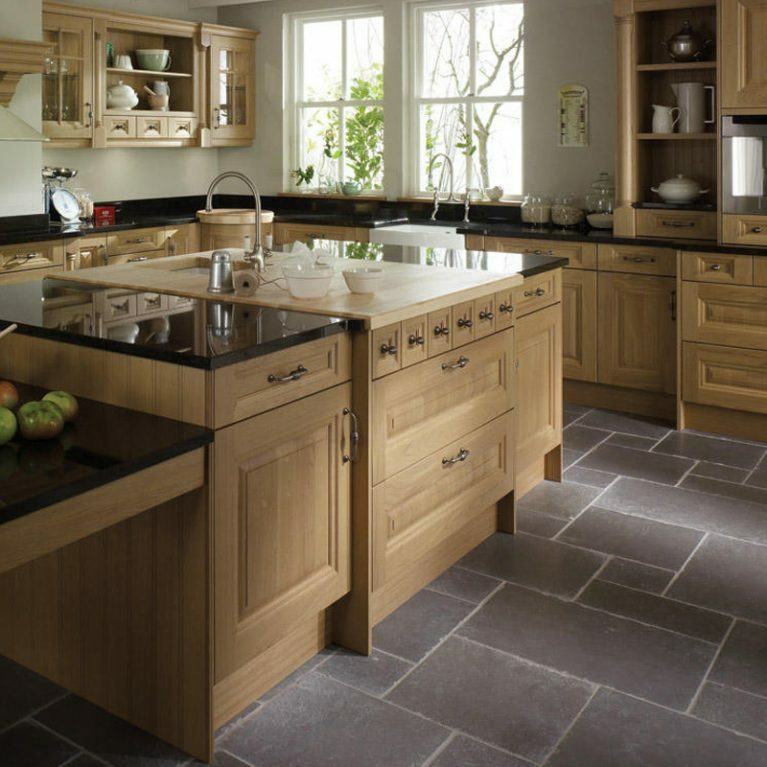 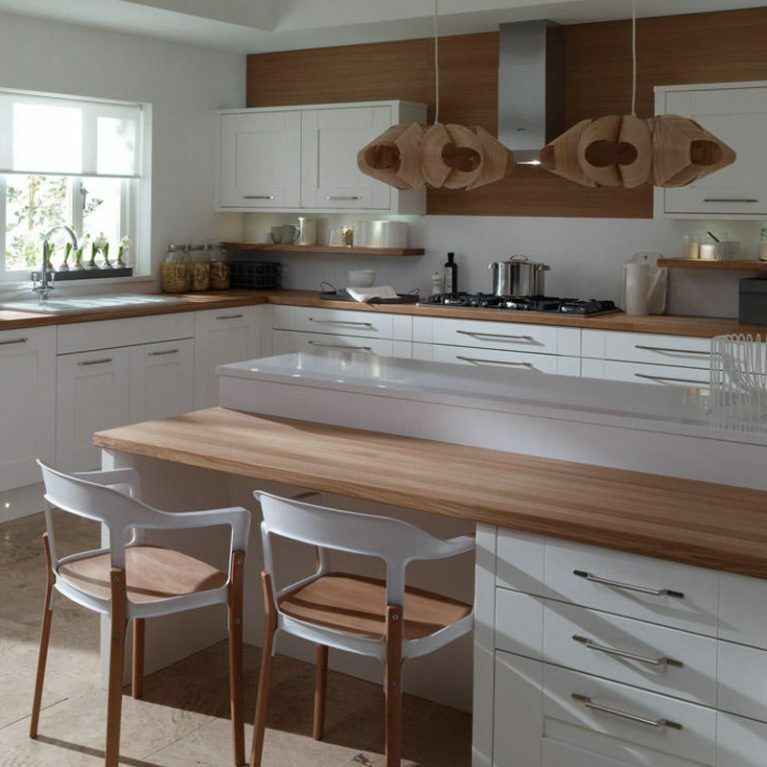 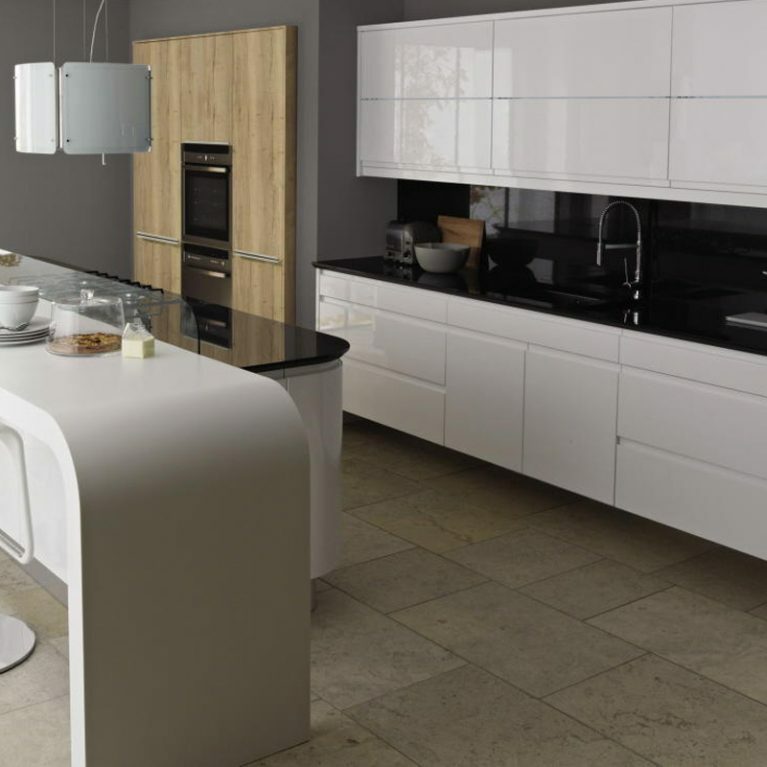 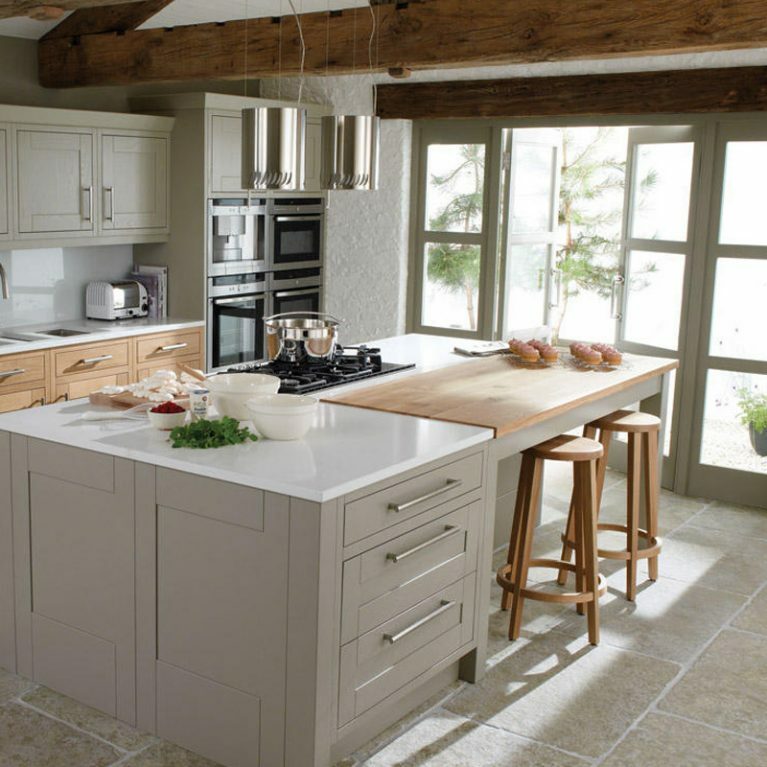 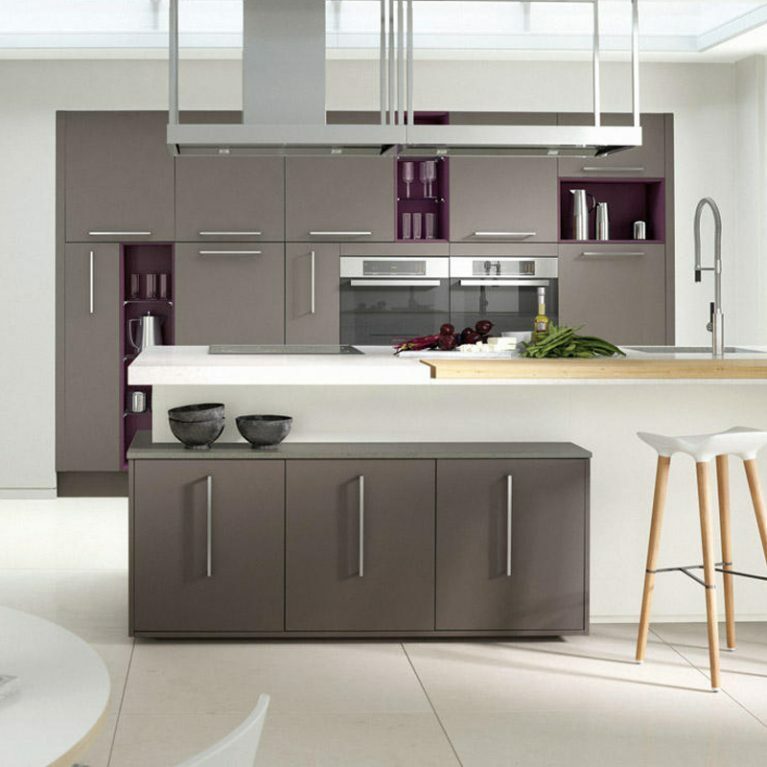 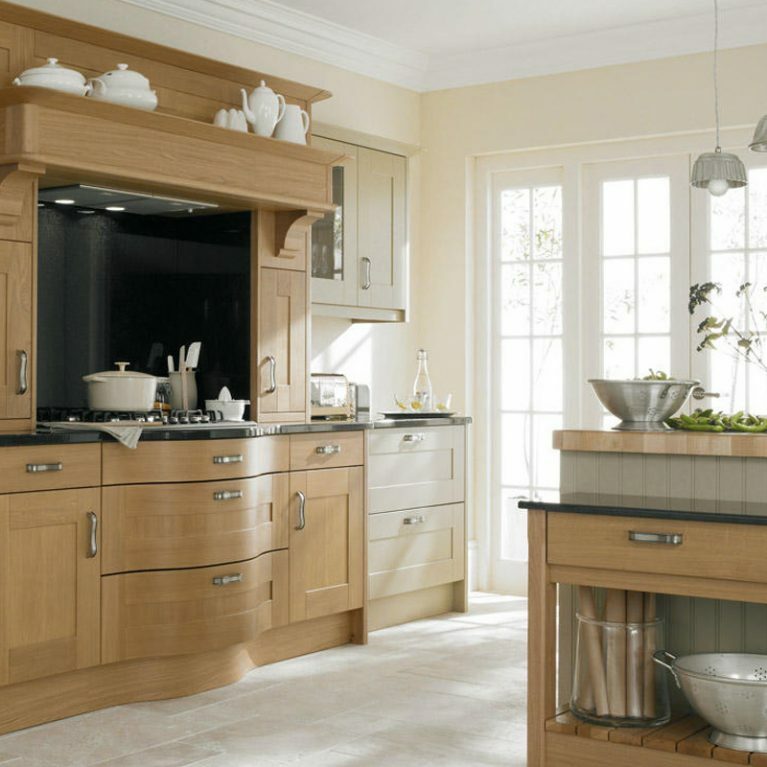 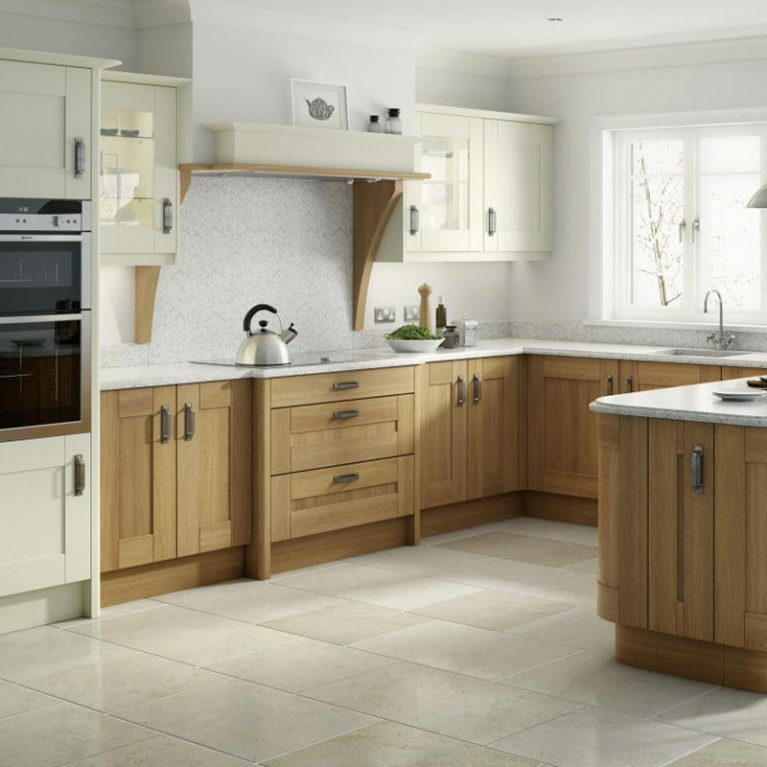 Transforming your home has never been easier than with Manchester’s premier kitchen supplier, Number One Kitchens. 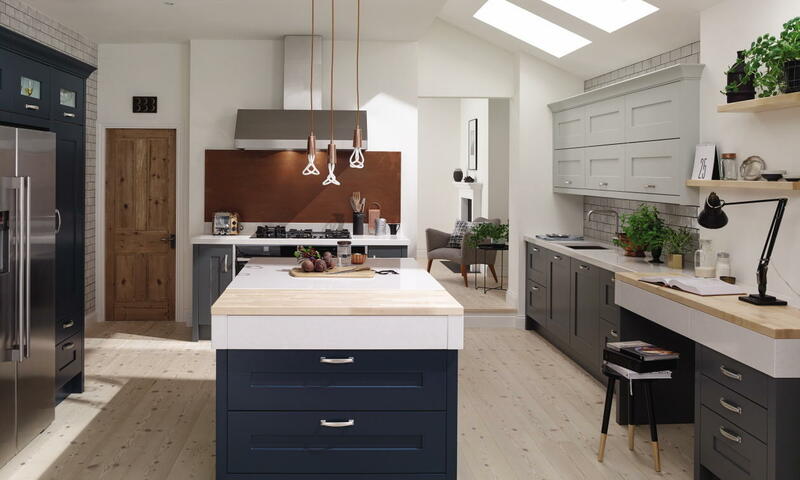 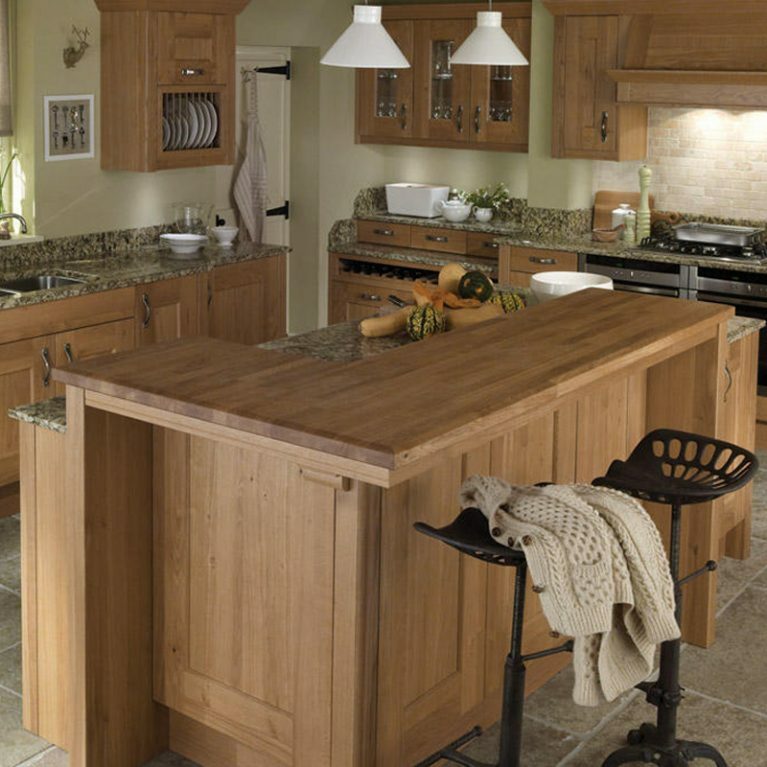 To get a quote for this stunning shaker kitchen simply give us a call on 01706 640 395 and we can help you to bring your dream kitchen to life.